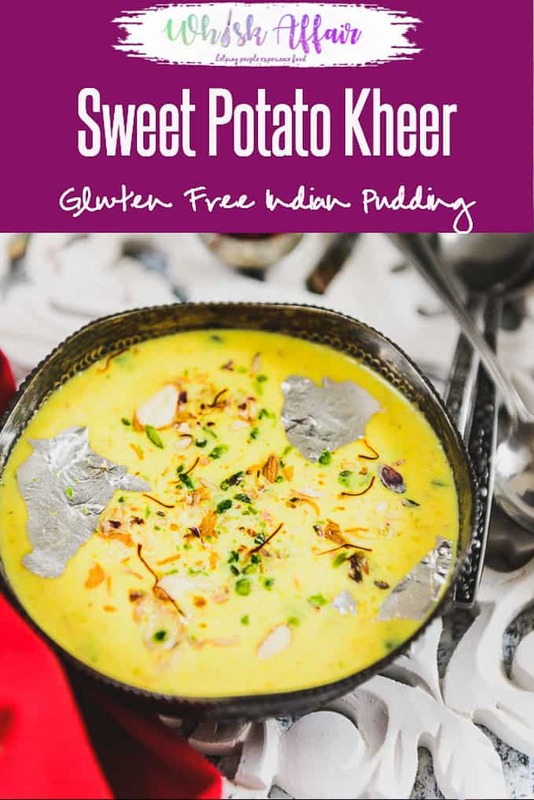 Made from Sweet Potato, Milk and sugar, Sweet Potato Kheer Recipe is a delicious Indian sweet or dessert which is perfect to serve for festivals or any special occasion. It is also gluten-free and can be served for Falahar for Vrat. Living in India and being a part of festivals here, one cannot do without the humble kheer. 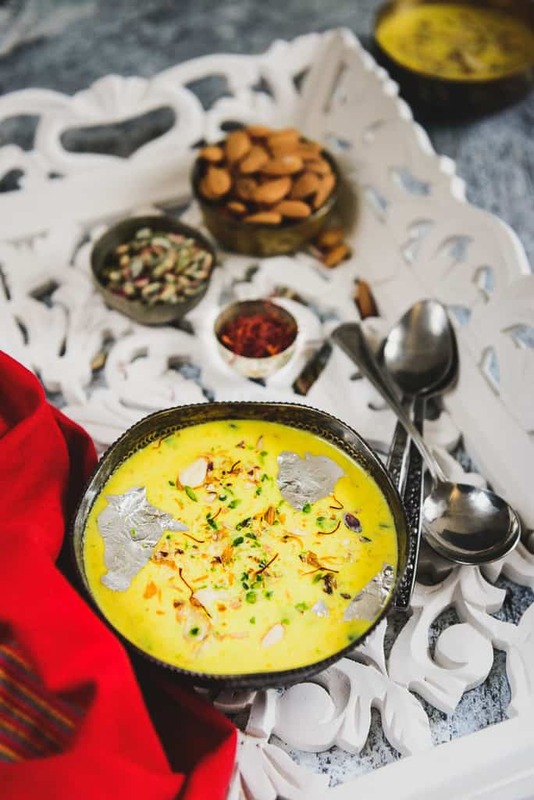 A sweet dish that caps most celebrations as well as forms an integral part of the fasting period, kheers signify sweetness, the richness of spirit and purity. 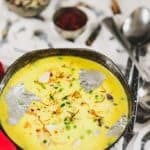 With Navratries going on, I made this delicious and super easy to make Sweet Potato Kheer Recipe or Shakarkandi Ki Kheer which can be had as Falahar for Vrat as there is no grain that is gone into the kheer. The Kheer came out so delicious that I will be making it again for the upcoming festivals of Dussera and Diwali. 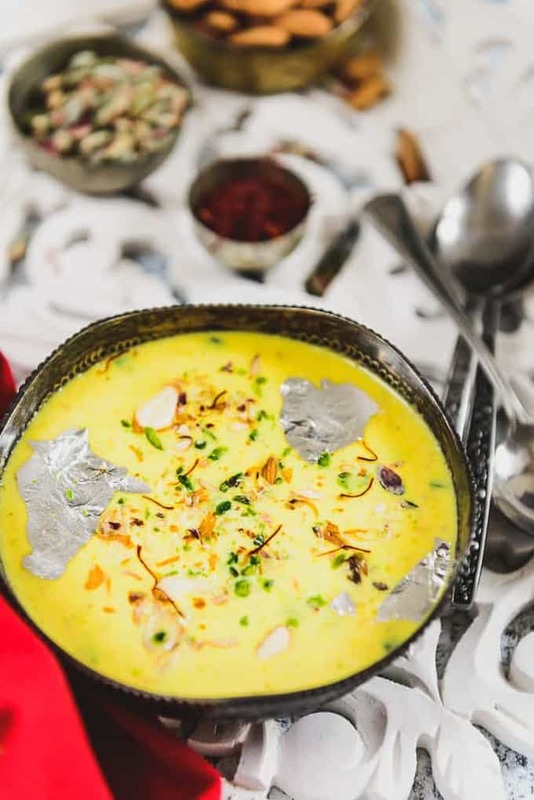 The method to make this sweet potato Kheer starts by boiling the sweet potato until they are softened and then add milk and other ingredients and cook for a few minutes until the sweet kheer is ready. Sweet Potato Kheer Recipe is made from sweet potato shavings, and is subtly spiced, creamy and thick. Enjoy it after a heavy meal of Broccoli and Paneer Paratha accompanied by Shahi Matar Paneer for a sweet relish. Here is a simple recipe to make Sweet Potato Kheer. So get cooking this sweet treat. Boil the shakarkandi till soft. Do not overcook as it will become mushy. When the milk comes to a rolling boil, add grated shakarkandi. Cook till the kheer is reduced to almost half and is creamy and thick. Add sugar, cardamom powder and saffron soaked in milk and cook for another minute.